For most living organisms, 60,000 generations is an extensive amount of time. Go back that many human generations, or about 1,500,000 years, and there are fossils suggesting Homo erectus were widespread in East and Southeast Asia at that time. Even for the fruit flies, which geneticists have studied for over a century because of their conveniently short lifespans, 60,000 generations equals about 3,750 years. 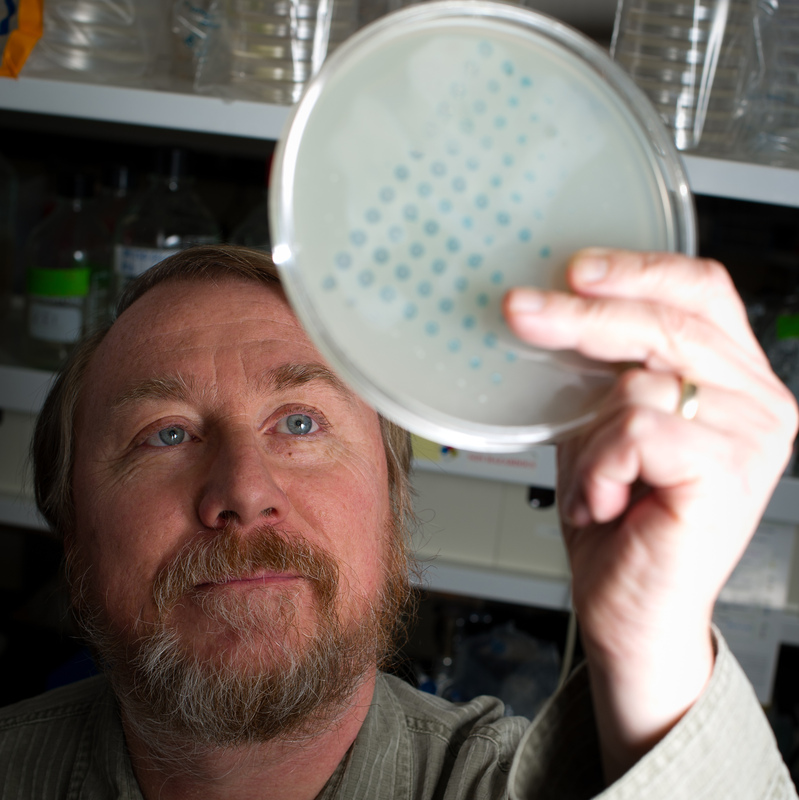 But biologist Richard E. Lenski has observed 60,000 generations in under 27 years–all from a single strain of Escherichia coli (E. coli), the common gut microbe. I’ve always been fascinated by this tension between chance and necessity, the randomness of mutation and the predictable aspects of natural selection. Evolutionary biologists think about natural selection as a never-ending process because the environment is alway changing. However, LTEE takes place under much different circumstances than the “real world.” It is a very simple environment with no other species present. Researchers can expose populations to the same daily environmental stresses: a boom-and-bust cycle. Every 24 hours the bacteria are transferred to fresh glucose medium for 6 hours or so followed by 18 hours of starvation. The fact that the real world is a changing environment and not sort of this artificial constant environment we’ve made in the lab is a really important issue. But it’s doesn’t really tell us the answer in the baseline case, what would happen if the world did not change? And at least to my mind, science often progresses by coming to grips with these special cases, that don’t necessarily exist outside the lab….It’s really hard to make sense of the complicated, constantly changing world around us if we can’t make sense of these special, really simple cases. At different time points along the way we freeze the cells down and the frozen cells are actually viable, so we can bring them back from the freezer, we can resurrect them, revive them. That allows us to directly compete organisms that lived at different points in time. So in effect, it allows us to do time travel. The dream of any evolutionary biologist. In the November 02013 issue of Science, Lenski and two members of his lab – Michael J. Wiser and Noah Ribeck – published their most recent work looking at fitness over the 50,000 generations. 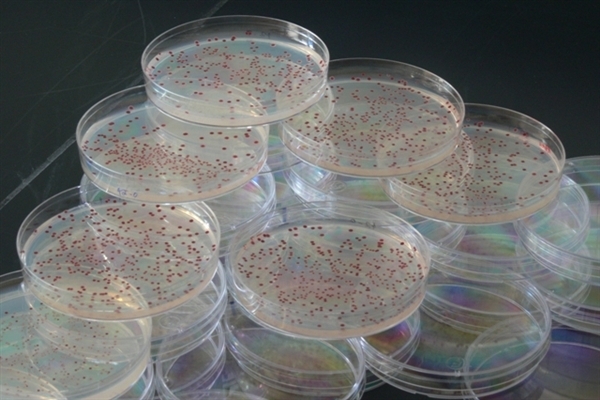 They measured how much the evolved bacteria have improved relative to their ancestors under the same environmental setup. They found that all 12 lines show consistent responses to selective pressures. For example, their descendants now grow faster in their standard sugary broth, and all populations show an increase in cell size. Yet variation lies hidden underneath these parallel changes. The fitness increases were nearly uniform in all 12 lineages, but not exact; the cell size grew in all of the populations, but by different amounts. When Lenski and his colleagues studied the bacteria’s DNA, they found that after thousands of generations, the populations’ genomes were full of alterations. These changes were different in each population and had accumulated at very different rates, suggesting a prominent role of chance in setting evolution’s course. I’d really like science to test this prediction! How often does evolutionary biology make quantitative predictions that extend a million years into the future? Maybe the LTEE won’t last that long, but I see no reason that, with some proper support, it can’t reach 250,000 generations. That would be less than a century from now. If the experiment gets that far, I’d like to propose that it be renamed the VLTEE – the very long-term evolution experiment.